Domestic fires pose a significant risk to children. Every year, over 400 children under the age of eleven are injured and four lose their lives in accidental fires in the home in England. Most domestic fires are caused purely by accident. But they could also be caused by mistake, as a result of our own actions including a child’s natural curiosity to fire, electrical and heat appliances at home. It is essential to educate your children on the risks of a fire at home. It is also important to explain fire safety and how to respond to a fire emergency. Awareness and prevention are the best ways to ensure that your children are safe from accidental, house fires. Here are some simple but effective fire safety tips to teach your kids. Keep matches, lighters, candles and tea lights out of sight and reach of children. Provide clear instructions to children on how to correctly handle electrical appliances and sockets, teaching them not to poke fingers or other objects into sockets. Ensure that appliances in children’s rooms are switched off and use plug guards to cover sockets. Childproof any open fires or heaters to avoid children from getting burnt. Avoid leaving children unattended in the kitchen. Make sure you don’t operate the hob when small children are around and any hot pots or saucepans are kept out of reach. If they see smoke or flames: Stay away from it and notify an adult immediately. Do not hide and get out of the house as fast as you can. If there is smoke: Stay low and crawl along the floor. Try to find the nearest way out or a window if the way out is blocked. On reaching a window, open it and shout for help. If their clothes are on fire: Stop running. Drop and lie down. Roll to smother the flames, if possible, with a heavy material such as a coat or blanket. Make sure you demonstrate this classic fire safety tip to your children. Once out of the building: Do not attempt to go back in under any circumstances. If you have access to a phone, call 999. Ask for fire and rescue service and give them your address. It is recommended that you practise the call with children and make sure they know the address. It is also important to explain that you only call 999 in case of a real emergency. A fire can be scary, for adults and kids, alike. 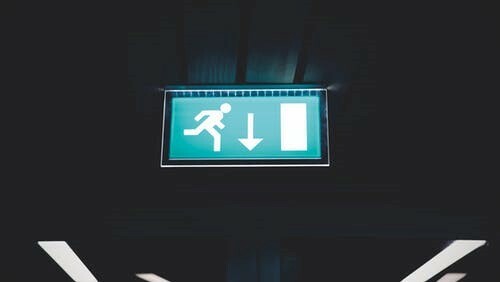 Think about how you would escape if a fire were to break out and develop an escape plan. Mark out which exits you would use and think about how you would get out if the exits were blocked. Rehearse with your children so that they are familiar with the different scenarios that may arise and know how to react. Finally, make sure that the children remember what you’ve taught them. It’s best to revisit fire safety actions and messages from time to time and keep children engaged with the topic of fire safety. Here at Firechief Global, we offer a range of fire extinguishers and safety equipment to protect your home and loved ones from the risks of fire. To find out more, contact [email protected] or call us on 0330 999 0019.